This morning the scale was not my friend. I expected it, though. I didn't track my calorie intake as closely as normal this week and I also didn't get in nearly as much activity as I do in a normal week. Traveling, settling into my home away from home, getting the lay of the land at work, it all took a toll on me this week and it showed up on the scale. It is what it is. After I checked the damage on the scale I went for a run. 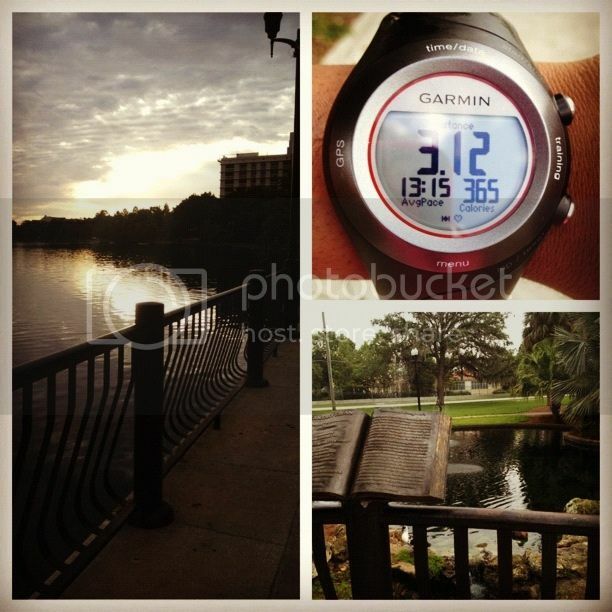 It was my first outdoor run in Orlando and it was hot but pretty. I think it's more humid here than it is in Tennessee. I did a lot of stopping for "picture breaks" but realistically I just wanted to stop because the heat made me want to die a little. 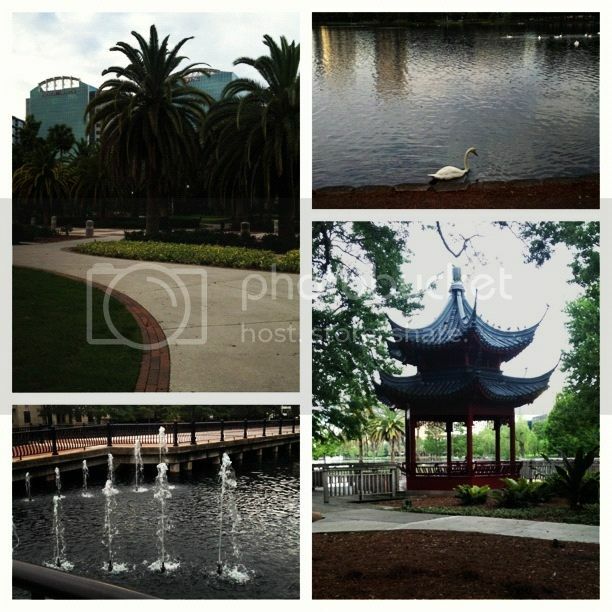 At least the park was pretty, though. After my run I decided to try to find Target. I ran out of Larabars yesterday and just in case I haven't mentioned it before, I'm obsessed with Larabars. I decided to try making rice in my crockpot so I got the rice and water in the crockpot and headed out. 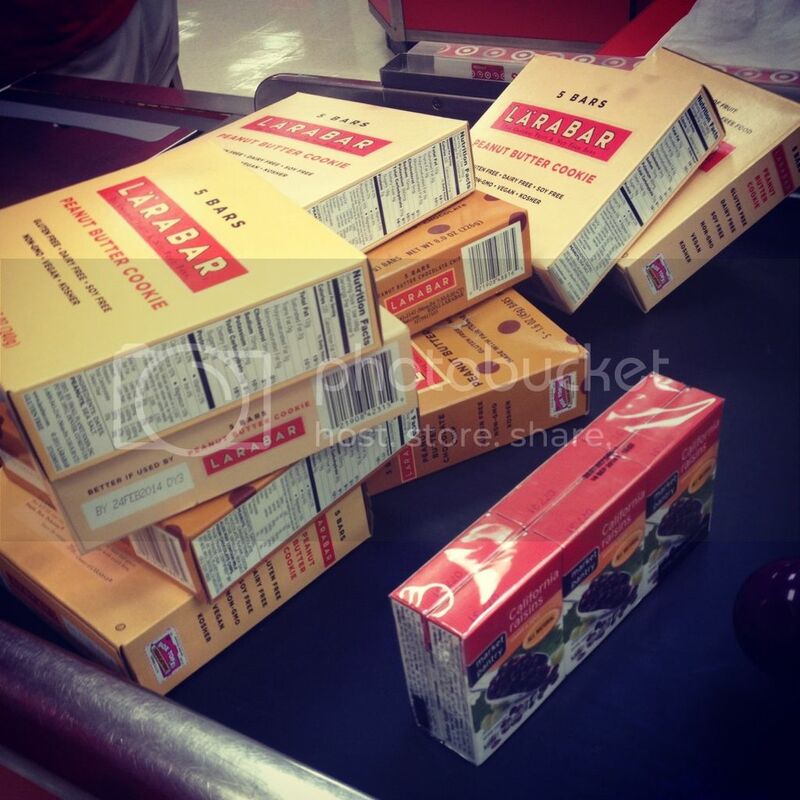 Not only did Target have Larabars, but they had the Larabars on sale. A box of 5 bars was $5 or $1 per bar. Since I normally pay $1.29 per bar at Trader Joe's, I was over the moon and bought all they had of the Peanut Butter Cookie and Peanut Butter Chocolate Chip flavors. I pretty much looked like a Larabar hoarder at the checkout. It's fine. I also spent some time perusing the clothing section. I haven't really bought new clothes since I lost weight, but at this point even my pre-weight gain clothes are starting to get a bit loose. I can still make most of my dresses work with belts, but I wanted to see if I could find a few more things for work that actually fit. Of course, I also found my way over to the casual dresses. Fortunately I only bought two dresses and one skirt. The skirt and one of the dresses is for work. There is no excuse for the second dress. I just have a thing for polka dots. 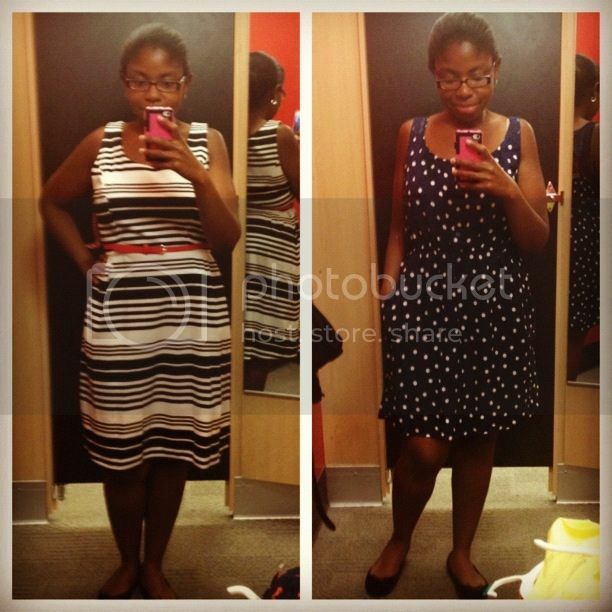 I was also really excited that both the dresses I bought were size mediums and the skirt was a size 10. 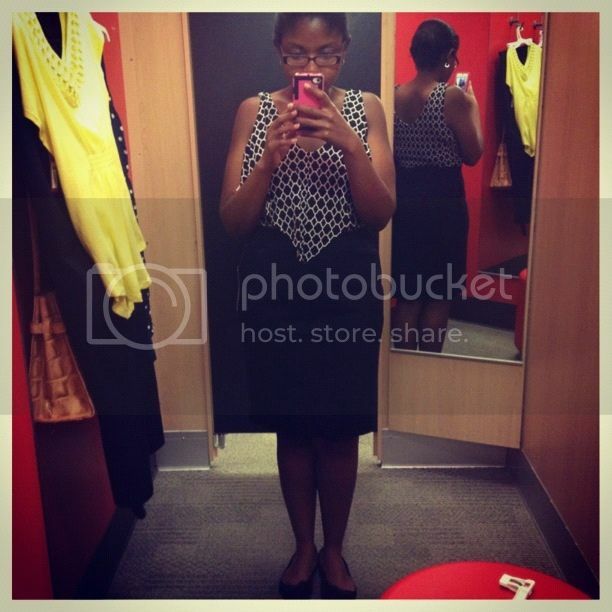 I didn't buy the top I'm wearing with the skirt. I didn't really like it. I also made a decision to eat mostly meatless this week. I'm not a vegetarian and probably never will be, but my room doesn't have a full kitchen and cooking meat is really messy. I ate a bunch of pre-cooked meats last week but it was super expensive compared to the tofu and tempeh (which is frequently not true in Tennessee where "health food" is almost always pricier than everything else.) 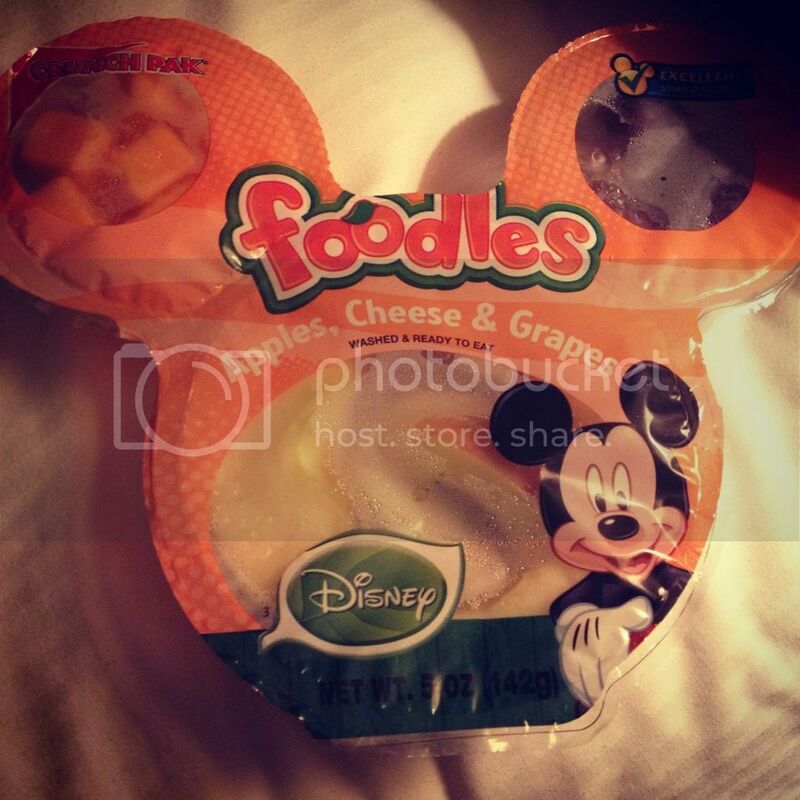 In addition to Larabars and clothes, I also bought these overpriced children's snacks because I am still five. 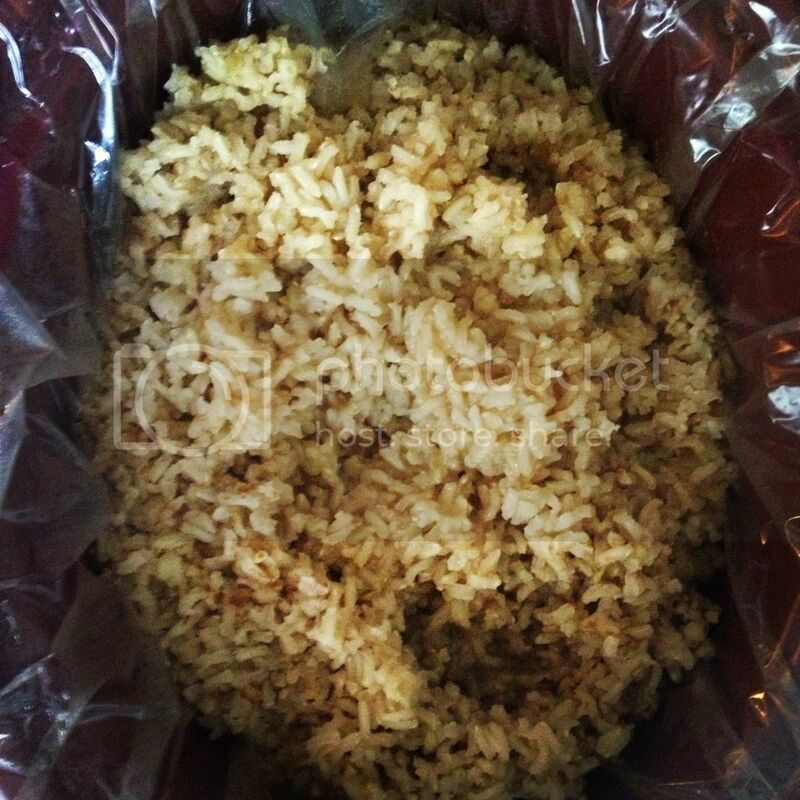 It is possible to make very large batches of brown rice in a rice cooker. I added a bit more liquid than necessary, but I will adjust next time. I'm going to freeze all of this in individual servings so that I will have it ready when I need it this week.